field work « Nothing in Biology Makes Sense! I work with some incredible grad students at the University of Alaska Fairbanks. Today, I’d like to highlight research led by Sophie Weaver, a student in the Biology & Wildlife department. When asked about her research, Sophie likes to say she studies “P in streams.” Sophie is investigating how differences in nutrient availability might affect the growth of the organisms that make up the green scum, or microbial skins, that one slips on when crossing a stream. Besides phosphorus (the “P” in her descriptive quip), she also works with nitrate, ammonium, and acetate. Sophie with her little blue cups. After adding various nutrients to little blue cups, she launches them in her research streams. Post-incubation, she collects the cups to measure the abundance of autotrophs (critters that produce their own energy) and heterotrophs (critters that, like us, consume delicious things to produce energy). The ratio of autotrophs to heterotrophs can tell her something about how nutrients impact green scum composition. This research is important because stream microorganisms directly influence water quality and ecosystem function. Sophie conducts her research at the Caribou-Poker Creeks Research Watershed (CPCRW), a pristine watershed located about thirty-five miles northeast of Fairbanks. 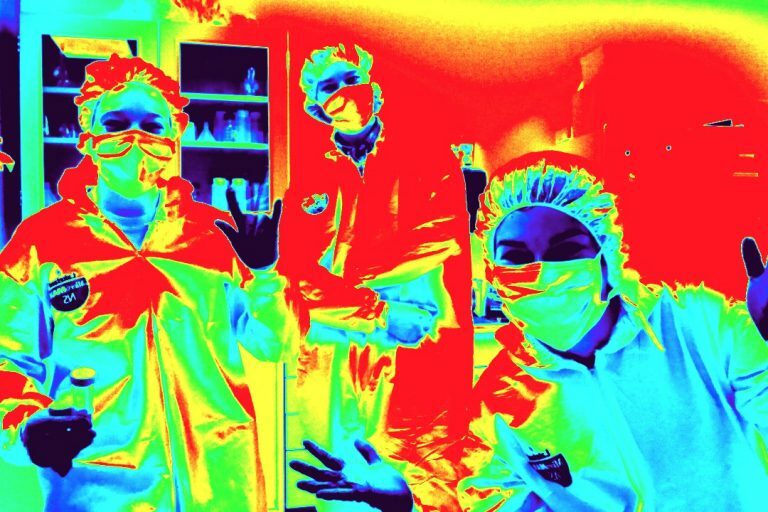 Rumor has it that Sophie and her labmates been known to pursue the other wonders of CPCRW besides what fuels green scum growth, from chilling ciders in wee arctic streams to stripping down, jumping in, and cooling off on a “hot” Alaskan summer day. The director of bee biology for the Wonderful Company, Gordon Wardell, is working on a magnificent experiment. He is trying, across a vast grove of pistachios, to develop an alternative insect pollinator. With the decline of honey bee populations (due to many things, including (and likely prominently) because of viruses! ), the need for an alternate has become critical. Not just for pistachios, but for almonds, which rely exclusively on honeybees for pollination. Want to know more about this crazy idea (trust me, this one is a long shot)? Read about it here. This is kind of like an out of office email. I’m in the field, the Hebrides Isles collecting bees to be exact. While I had wild ambitions I would be able to keep up with my posting… I may have been delusional. So I’ll be back posting full time in August. Until then, yay bees! If you know a Federal scientist, give them a hug. It’s been a really bad week. “This week my colleagues and I have had to deal with confusing gag orders and onerous requests for information and justifications of our work. In one case, I was given only half an hour to write statements on a number of pending agreements to explain why they were in the “public interest.” Note, these agreements involve *already allocated funds*, that have gone through *numerous justification and vetting processes already*. I have no idea how these justification requests will be used, but signs out of other agencies are ominous. All of that said, the *single most pressing issue* for us right now is the blanket hiring freeze. We can muddle through with a hiring freeze on permanent staff, but my work and that of many of my colleagues (and much the functioning of the rest of the Federal system) depends on temporary and seasonal workers. If this part of the ban is not lifted, then I will not be able to complete a number of projects that are critical to learning how we can best restore arid ecosystems in the Western United States. These lands are under threat from increasing fire frequency, invasive species and other disturbances. These lands support and sustain wildlife, pollinators, rare plants, clean air, clean water, Native American tribes, recreationists, sportsmen and ranchers. These lands are part of our heritage as Americans. 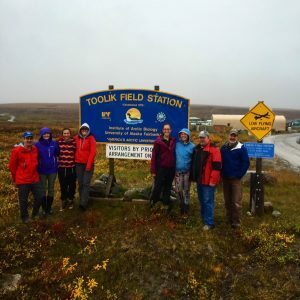 Notes from the Field: Above the Arctic Circle! 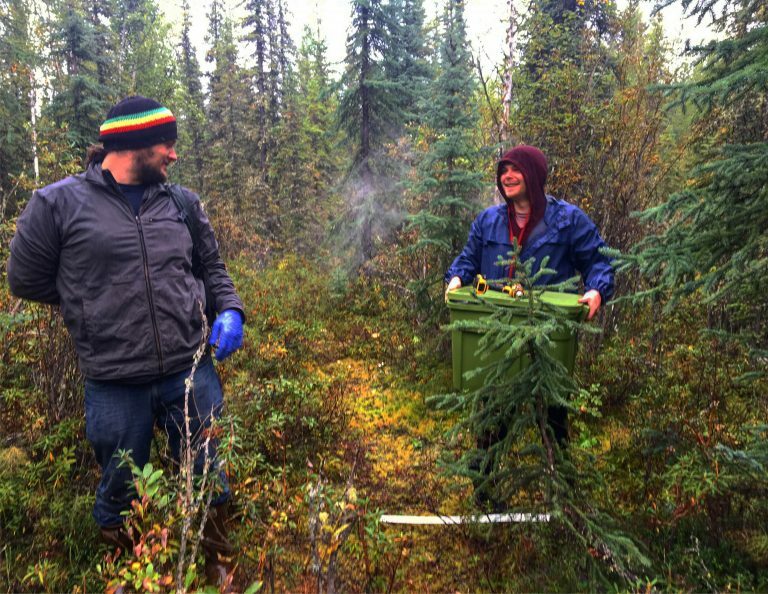 Friend and sometime contributor, Devin Drown, has recently started up a research program at the University of Alaska Fairbanks (Congrats Devin!). And this summer he lead an army of undergraduates on a series of interesting projects near or above the Artic Circle. Sadly, coordinating and advising an army of undergraduates doesn’t leave too much time for writing blog posts. But he has kindly sent me these interesting snippets from the field. Check them out! Toolik Field Station to use MinION sequencing. 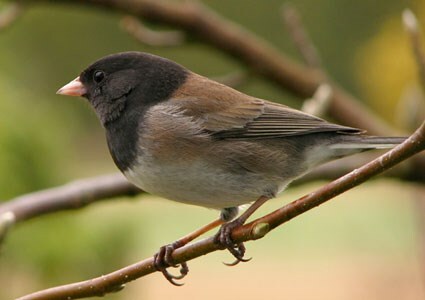 Birds have a number of loud and showy ways to attach a mate. But they also have a subtle one: smell. And it turns out that some of that smell are naturally made by bacteria in the preening gland. So I’m not saying you should use “hey girl, you smell like the best bacteria” as a pick up line, but it might be worth trying! Read all about the work by Danielle Whittaker over at Science News!